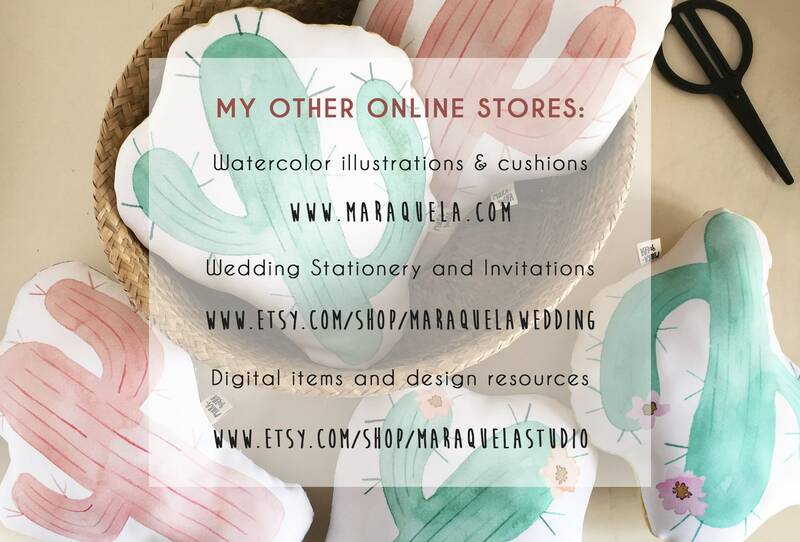 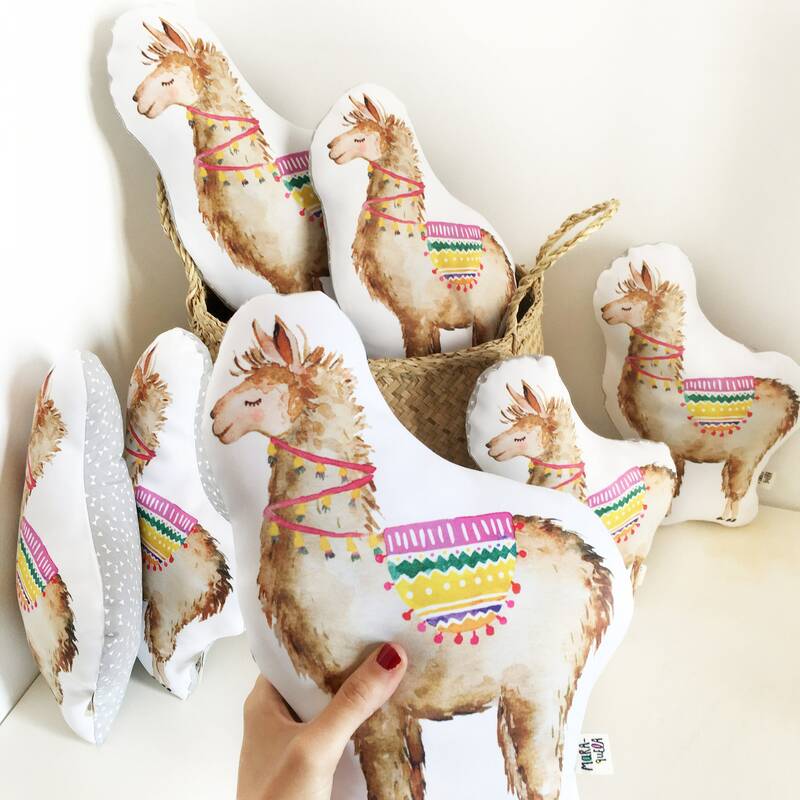 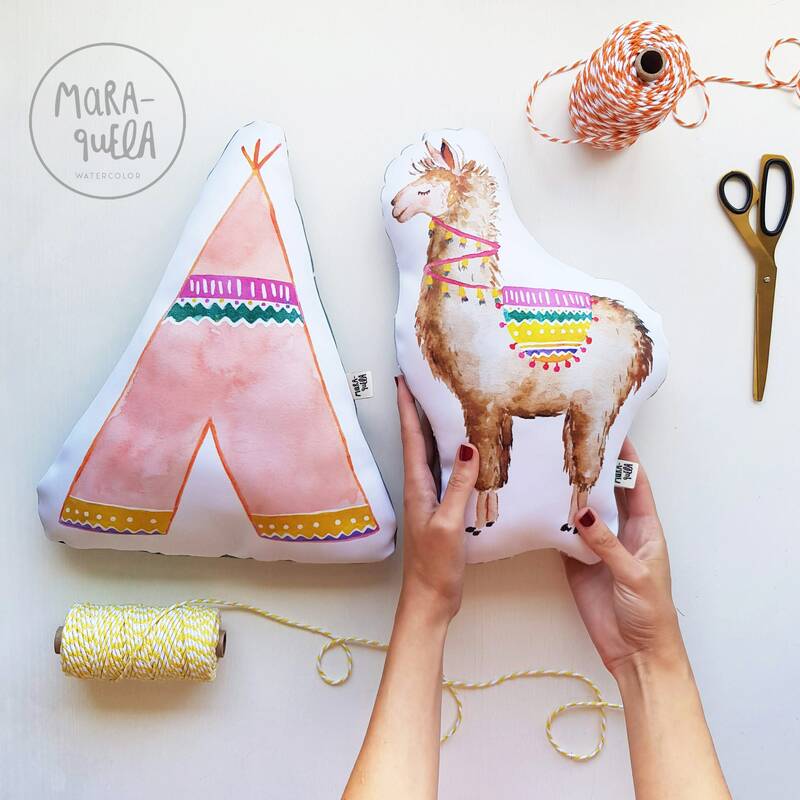 • Bonitos set de 2 Cojines decorativos: Llama y tienda tipi en colores vivos y muy alegres. 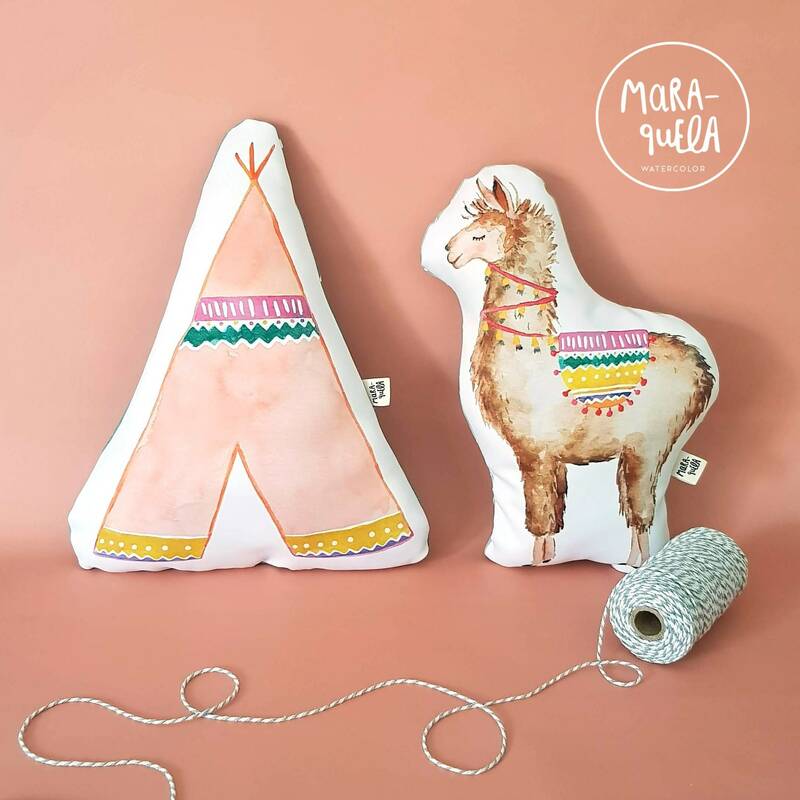 • Un regalo único, diferente y muy original. 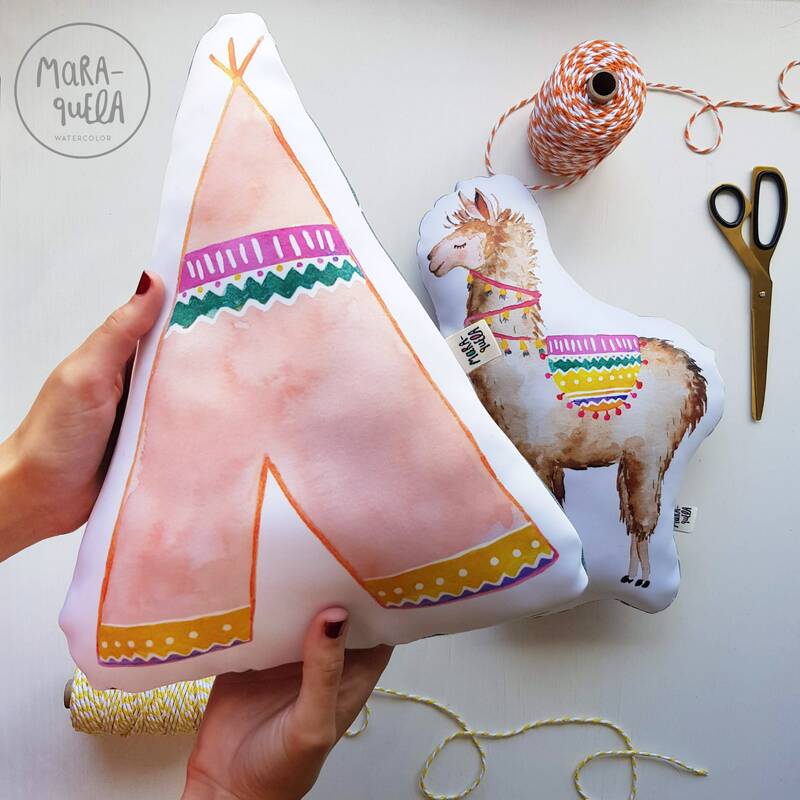 Muy tierno, suave y con ilustraciones realmente dulces y alegres. 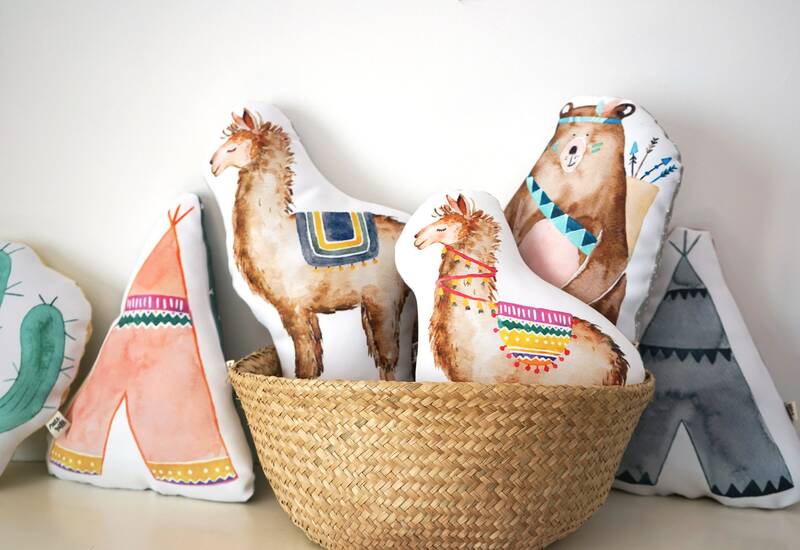 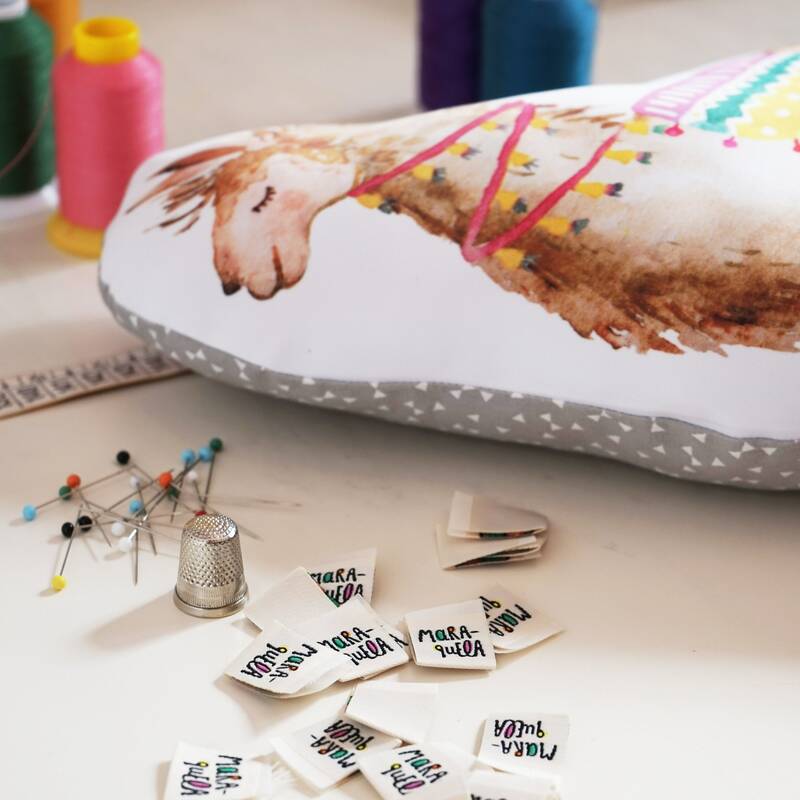 • 2 Cushions: Llama and Teepee for a cheerful and fun decoration, from the watercolor illustrations: cute Llama and Teepee. 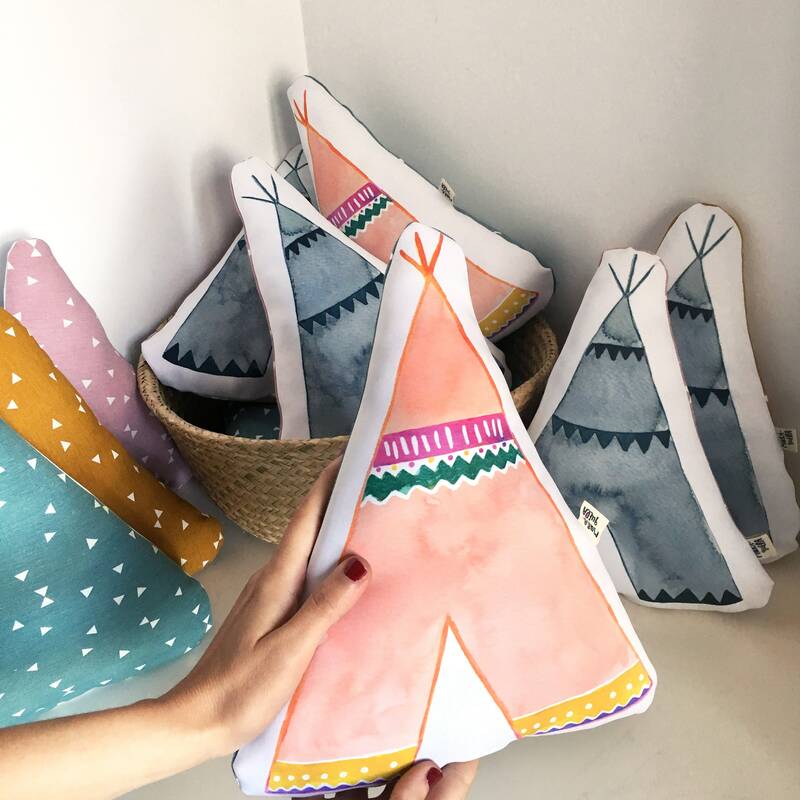 • These nursery cushions are composed of an illustrated front side and patterned cotton fabric on the back (nordic style geometric design on different colors background). 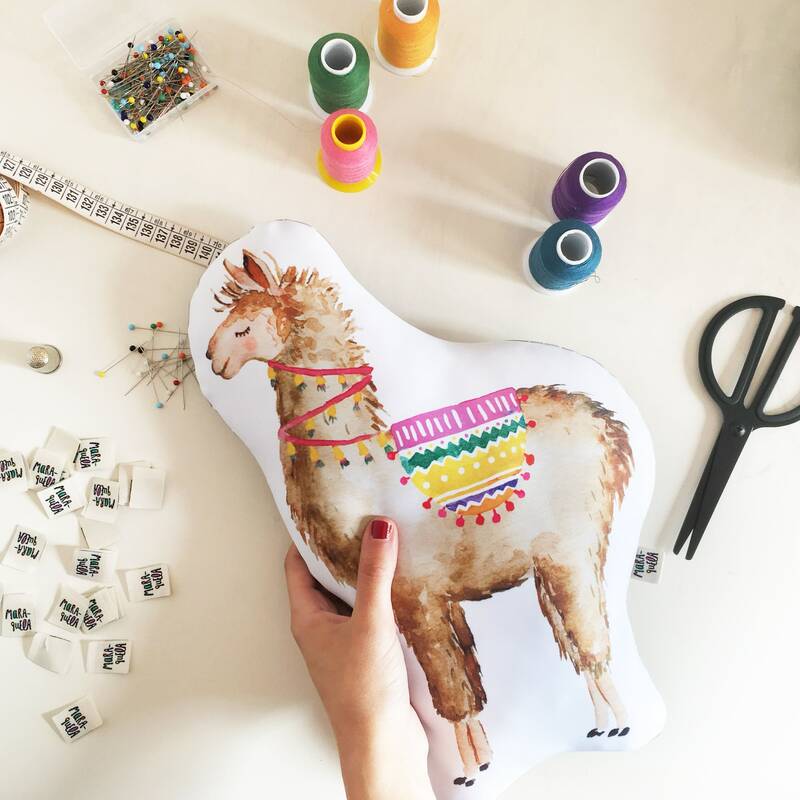 • Colorful, vivid and bright hues. 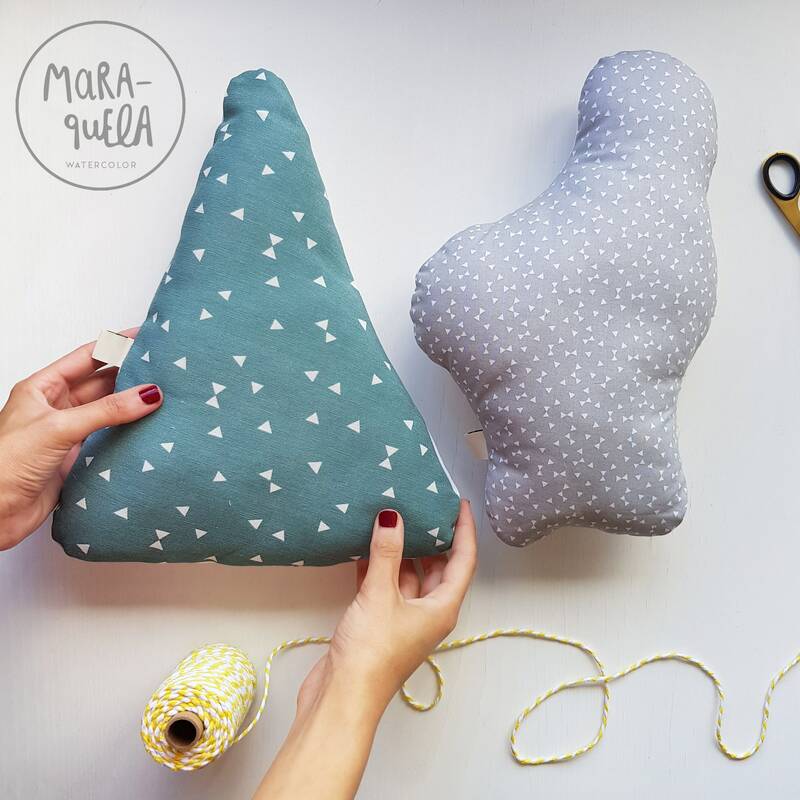 Perfect for gift to babies, newborns and kids.